If you are sailing from Miami to Key West, there are two different, equally delightful routes you can take. One follows the Intracoastal Waterway on the inside through the Florida Bay. The route runs north and northwest of the main chain of islands and is well protected, most cruising boats shouldn’t experience any difficulties making this passage. If you are taking the intracoastal waterway to Key West, you will be lucky enough to have the chance to stop off at some of the beautiful locations along the way including Marathon, Islamorada, Bahia Honda and beautiful islands only accessible by boat. One such island is Elliot Key which is part of Biscayne National Park. With prevailing winds from the southeast during the summer months, the island welcomes hundreds of boaters to its unspoiled beaches. Starting from the beautiful and classy Fort Lauderdale, set sail to Miami. Once you get to Miami, you will have the choice of a number of marinas for mooring. These include; Dinner Key Marina, Bay Side Marina, Miami Beach Marina and No Name Harbour.. Yes, it’s really named, ‘No Name’. Here, depending on the interests of your guests, you can get up to a series of things walking distance from where you’ve moored! Should you want activities to do, check out floridastatepark.org before setting sail so that having things to do will not be a problem. Or if you like a little bit of adventure, just check out the site once you’ve moored at your marina in Miami (wink face). As for food, if you haven’t brought food along, there are a series of places where you can eat. One I’d suggest is ‘Boater’s Grill’. With a delicious Cuban menu, you and your companion(s) can delight in some great food before continuing your trip! After having spent a fantastic time in Miami Beach, it’s time to head to Biscayne Bay. Once there, you can anchor at Elliot Key. Here you can swim, snorkel or simply relax on the beach! 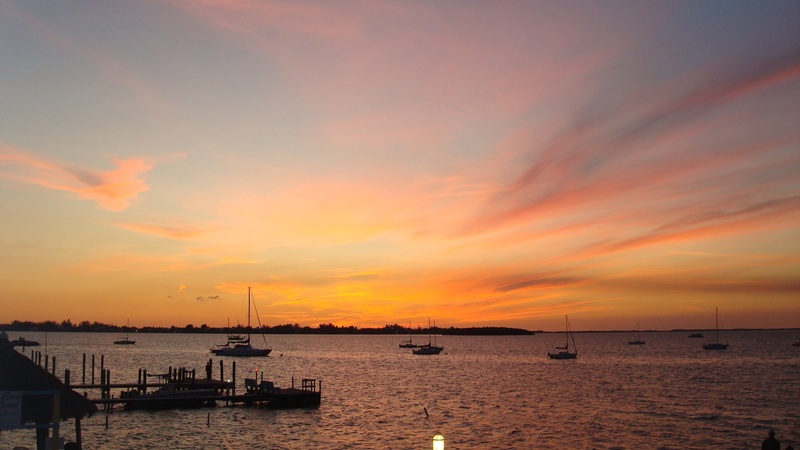 You can spend your afternoon exploring Biscayne Bay, and spend the night behind Pumpkin Key. Other activities you could potentially do whilst in Biscayne Bay include the famous Miami Aquarium, amongst other great things to do! By day 3, we’d suggest heading out to Craysfort Reef & Elbow Reef. We’d recommend snorkelling between mid-morning and early-afternoon. 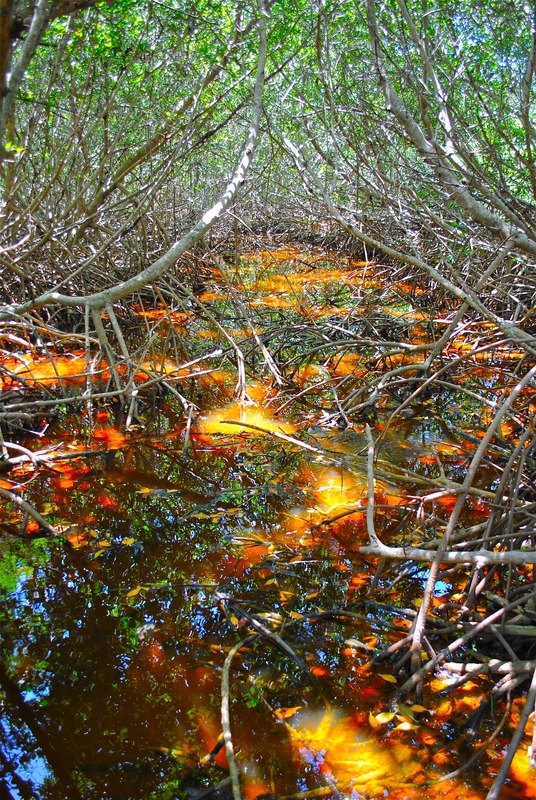 After all of that snorkelling, you most probably would’ve worked up an appetite. If you weren’t able to prepare a lunch, you and your guests could always set out for Key Largo, where you will find an array of places to eat! You moor at Marina del Mar for the rest of the day. Should you still have energy for activities. Key Largo has some great dive-spots to offer! On Day 4, sail southwest to Marathon. Whilst in Marathon, you can spend the day sailing around the island. There are certainly beautiful views that should only be taken in with time. Later, you can moor at Marathon Marina to spend the night! Make your way to the Government Cut then sail back to Miami. Choosing to do this shall give you easier access to Miami!! Should you be interested in spending a night, moor at a marina of your choice and if not skip to day 7. 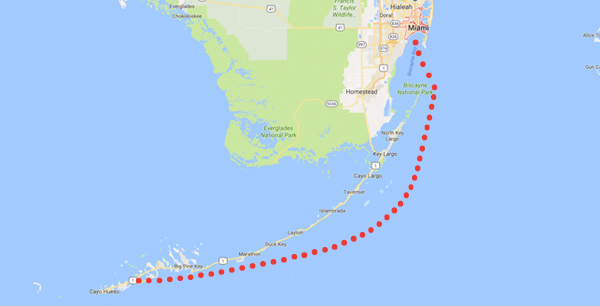 On your last day, sail up to Port Everglades then make your way back up to your starting port in time to return your charter boat!